Posted on December 31, 2018 January 3, 2019 by Jenny M.
Everyone knows that relocation can be a difficult process for you and your close ones. This process requires a lot of energy and effort. Not to mention that it is stressful and that relocation can be annoying too. But in the end, you have your new home and you can slowly adapt to it. Moving to a new home will affect your pets too. For your pet relocation is an unpleasant situation that can influence their behavior. Do not expect from them to get used to the new home immediately. We collected some helpful information that can help your pets adjust to a new home. Have in mind that this will be demanding for you and your pet. The new environment will be strange to your pets, and you must show them that this is their new home. 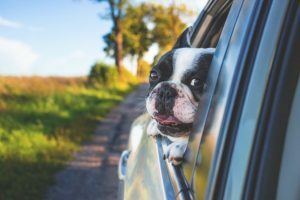 Changes that are related to relocation are inherently stressful for your pets. Your pet needs to feel pleasant in their new home. There are tactics that can help your pets adjust to a new home. Do the old routines with your pet and they will feel like home. For example, if you and your pet have a habit to get up early and take a walk or if your eats breakfast and then goes to the yard, try to follow that same pattern in your new home. And if you have a new job and you don’t have much time, try to keep as much as possible of your old routines for a couple of weeks. You will also need to give your pet some space, maybe a little bed or some toys, if its a fish you need some space for the aquarium. This is the case mostly with dogs since cats can do this on their own if they live outdoors. If you have a dog take it to plenty of walks around your new area. This will make the dog adjust to the new area. If you have a cat that lives indoors take it outside. 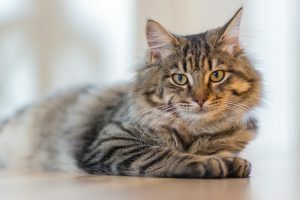 If the cat lives outdoors or it can move freely from indoors to outdoors, it will adapt on its own in no time. Take your pet to explore especially if you relocate a long distance like moving to North Carolina from New York. This tip is the easy one and it is not too complicated. Simply spend time with your pet like you usually do. They need your support at this moment because they can have trouble adapting to a new home. Act normally play with your pet, take your pet to a walk pay attention to his behavior. You know your pet best, do things that you couldn’t do because of the relocation. In general, the main problem is that you could be overwhelmed with so many details about relocation. Of course, you don’t want to skip your pets daily routines, but this is the specific situation and anything can happen. That’s why you need to help your pets to adjust to a new home by paying extra attention. Give your pet a lot of love and they will adapt in no time. One of the first thing that you will do after moving to a new home is buying new things. You also want to refresh the house with new things instead of old ones. Our advice it that buying new things can wait a few weeks. Your pets accustomed to the old environment and they can be sensitive if you make drastic changes. It can be really discouraging to bring your old, nasty pet bed, pet toys, water, and food bowls to a new home. Your pet will have the impression that he is in the old home and that will help him get used to the new one. This will last a couple of weeks and you will gradually update your home with new things. Be sure you make an inventory list of things when you pack so you do not forget some pet supplies. This advice is the most obvious but at the same time the wastes one. Give your pet time to adapt to your new home. Some pets can adjust to a new home in a few days, some of them need a few months. This depends on many factors. Your commitment to helping your pet will influence the speed of adaptation to a new home. If you are dedicated to your pet and give him a lot of attention, he will quickly get used to the new environment. The more different the new environment the more time it will take. So when you relocate long distance expect that it will take some time for your pet to adjust. Long distance relocations are a challenge on its own but remember to help your pets adjust to a new home. If you need help with long distance relocation hires long distance movers Raleigh NC. It takes some time to move to a new location and adapt to it. It takes time to humans, to animals it takes a lot more. So be patient with your pet, take certain measures to reduce the time it takes. Do not worry with some patience you will have your pet happy in its new home in no time. Some people might think that relocation with pets is impossible but they could not be more wrong. 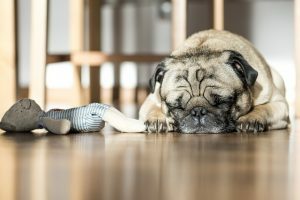 We wish this article was able to help you help your pets adjust to a new home, so you have your little friend enjoying the new home as you do.